1 x 8 page A-4 landscape format booklet & decals for three subjects in one scale per set. A great product from Kagero. The Polish company Kagero has been producing book/decal tie-ins for quite some time now under their Topcolors series (some 27 books to date). 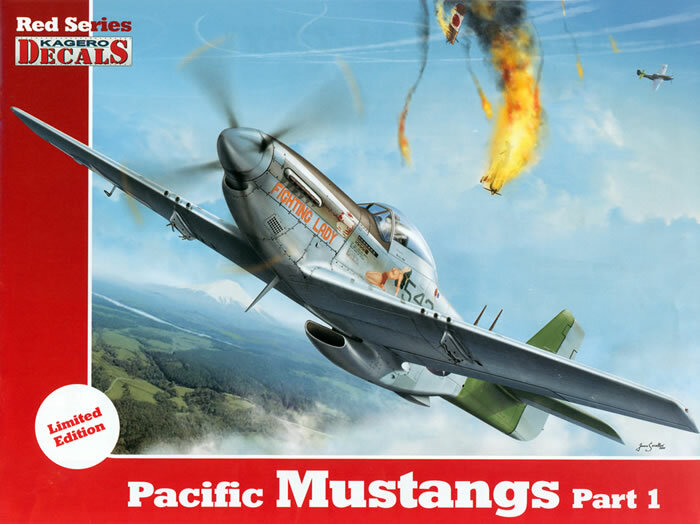 This new Red Series from Kagero seem to be a continuation of this genre in that it supplies a small booklet with top quality artwork of the chosen subjects along with decals to replicate the depicted aircraft in your chosen scale. 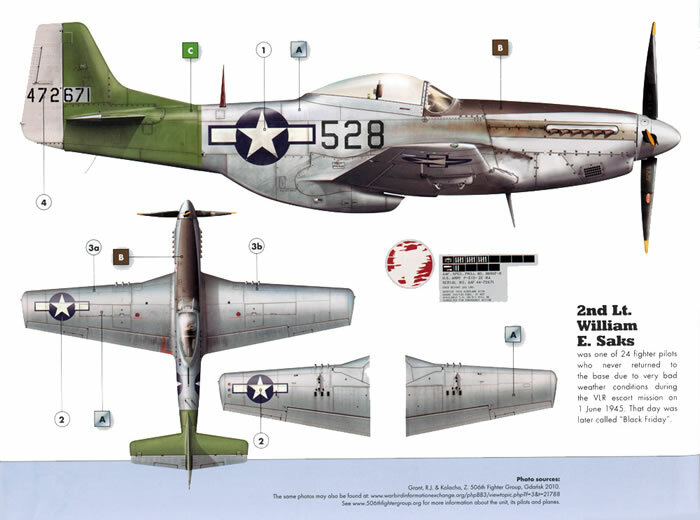 ‘The Enchantress’, P-51D-25-NA serial number 44-72671, plane in squadron number 528 flown by Second Lieutenant William Saks of the 457th Fighter Squadron, 506th Fighter Group, from the island of Iwo Jima in the June of 1945. 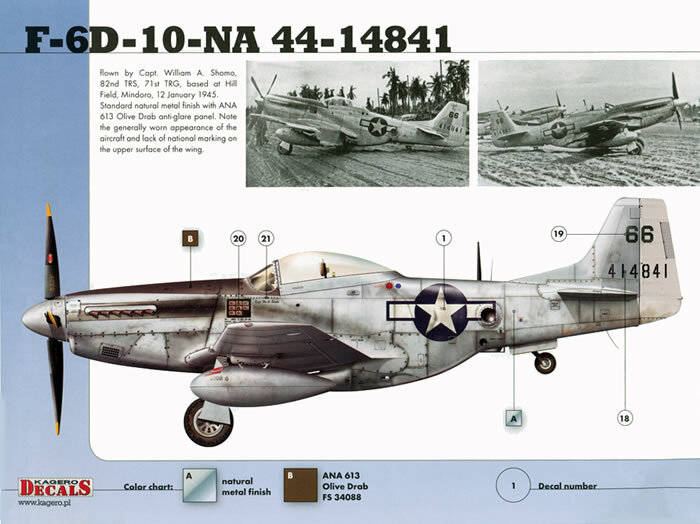 The book describes the machine as being in “standard natural metal finish” with an ANA 503 willow green empennage. It wears twin wooden antennas on its rear fuselage indicating it was fitted with AN/ARA-8 “Uncle Dog” VHF homing adaptor radio system (it was termed “Uncle Dog” as it received the letters U and D in morse code – dit, dit dah and dah dit dit) that enabled a pilot to navigate over long distance – a simplistic explanation to say the least! The machine also wears the fin mounted antenna array for the AN/APS-13 (SCR 718) airborne "tail warning" radar. 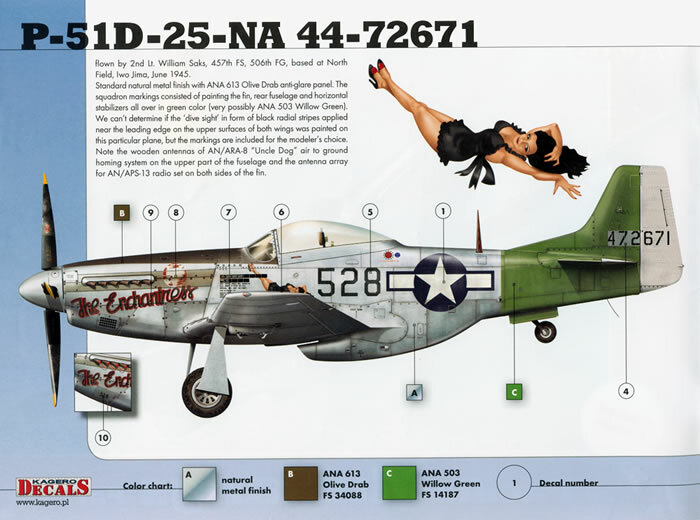 ‘Fighting Lady’, P-51D-25-NA serial number 44-72570, Plane in Squadron number 542 flown by Lieutenant. Ralph S. Gardner and Second Lieutenant Chester Jatczak of 457th Fighter Squadron, 506th Fighter Group, from Iwo Jima in the June of 1945. It too is described as being in “standard natural metal finish” with an ANA 503 willow green empennage and is fitted with the twin wooden “Uncle Dog” antennas on the rear fuselage and the AN/APS-13 antenna array on its fin. The accompanying 8 page booklet/placement guide shows beautifully rendered left and right hand side profiles as well as a full upper surface plan views and scrap views of the undersides of each wing, all in full colour. The art work also extends to larger renditions of the nose art as well as each machine’s data block. As with the Kagero Topcolors books these too are in landscape format and measure just over 103/4” long by just over 8” high (276mm x 205mm). 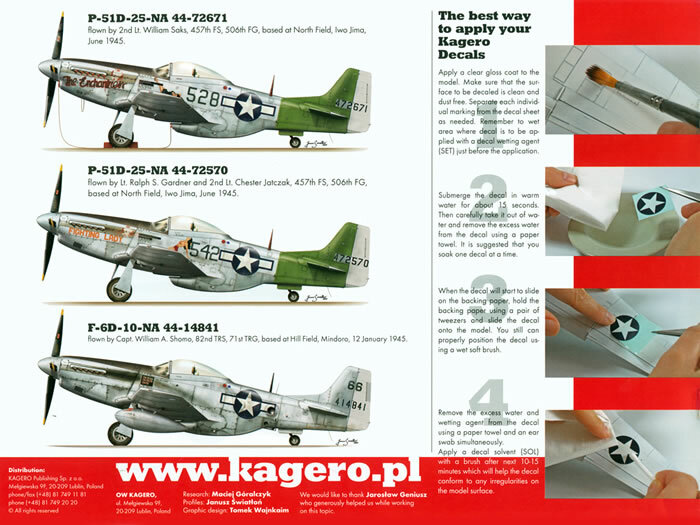 Apart from detailing the three options, the booklet also carries a short thumbnail of the aircraft’s pilot and instructions (written and pictorial) on how to apply the decals. 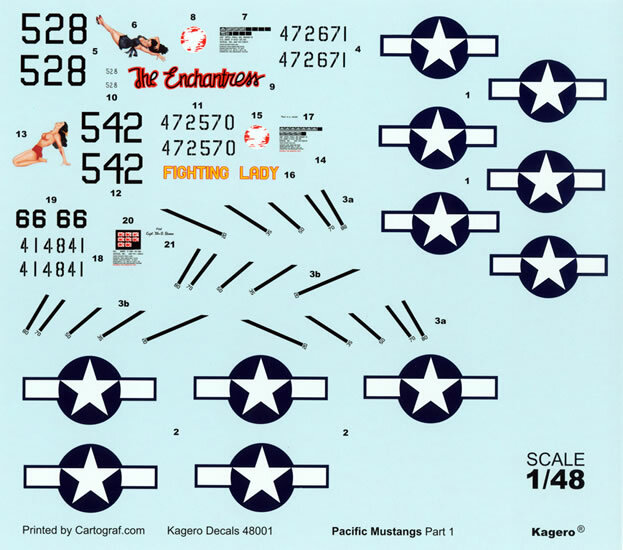 The decal sheet has been printed by Cartograf. Whilst it does provide a full set of national insignia and individual data blocks it does not include any stencil data includes individual and national markings for all schemes. Speaking of the national insignia the blue borders look a little too narrow to me whilst the blue circle background looks to be a little too small as well. The decal sheet and the booklet come in a clear plastic baggie with a gummed flap which makes putting the booklet back into it a real pain! Apart from the funky sized national insignia this is a great product from Kagero.